The holidays are a time of family togetherness and celebration. Scammers know you’re distracted, busy, and emotional. That’s why their schemes are so devilish. They get their own twist around Christmas time. 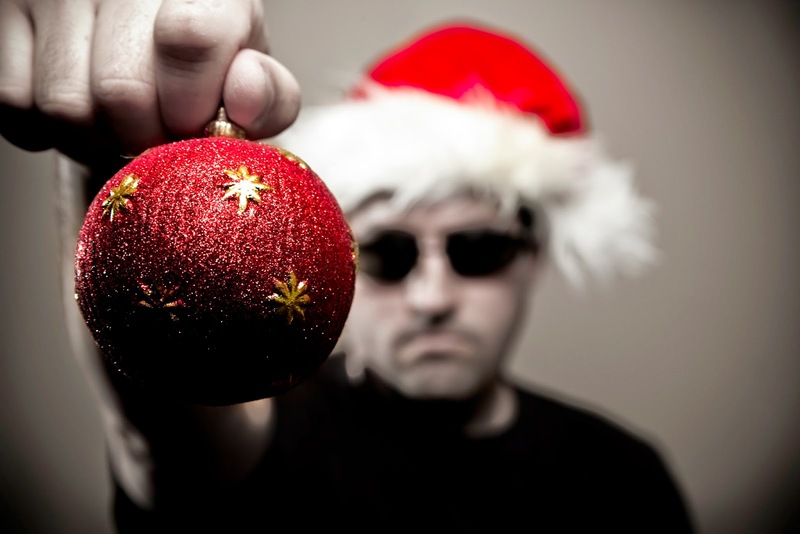 In the interest of keeping things in the holiday spirit, let’s look at 12 scams of Christmas. Don’t get taken in by these or similar schemes. Otherwise, you might be footing the bill for twelve drummers drumming and all the rest! Be wary of “season-themed” apps that perform frivolous functions, yet demand top-level security access. An app that makes it look like there’s snow on your background image doesn’t need to send or receive texts. Such an app might send premium text messages and leave you holding the bill. Everyone with an email address will send these little flash programs. Scammers have designed some with malicious code. They can install data leaching programs on your computer and do untold damage. Don’t click links in emails unless you know the sender. Even then, if it looks a little out of the ordinary, it probably is. They may have already fallen victim and it would be good to let them know. You’ll be receiving unexpected packages this season. Scammers know this and will send realistic-looking delivery failure notifications. They expect you to follow up with them and reveal personal identification information! Head to your local post office or call the parcel delivery service to check with a clerk before you hand over information on the Internet. The FBI issued a warning to this season’s travelers about a malicious pop-up at hotel chains around the country. This scam requests people install a foreign program before connecting to a hotel Wi-Fi network. This foreign program turns out to be data-stealing malware. Remember, Internet connections you don’t own or control can easily be used against you. Before you use the Internet at a hotel, ask yourself if it’s worth the risk. If you do need access, be wary of what you’re installing–there shouldn’t be a need to install anything. We’ve all gotten used to filtering out spam in our email. Now prepare yourself for it to take on a more holiday-oriented theme. Messages will suggest that off-brand Rolex watches and cheap pharmaceuticals would make excellent gifts. Be careful, though, because these companies might just be in the market for your personal information. There’s a bonanza of savings to be had buying gift cards through second-hand retailers. Be careful, though, because many of these retailers might be a front for scammers. Gift cards may be invalid, used, or forgeries, and you’ll be left holding the bill. These crop up every time there’s a major disaster, but they also show up at the holidays. Leaflets and phone calls from organizations with familiar-sounding names will soon appear. To be safe, don’t give to any charity with whom you didn’t start the contact. Do your research and give to charities whose values align with your own. There will soon be an “it” gift. You’ll know it by the high demand, low supply, and hugely inflated prices. Almost on cue, websites will pop up offering the rare widget at unbelievably low prices. This is a scam – the advertiser doesn’t have the product and is only using the offer to harvest personal information or bilk you of your hard-earned money through sites like Craigslist or eBay, where they will seek payment through PayPal and never send the item you purchased. “Catfishing” means pretending to be seeking a romantic partner on the Internet to dupe people. Scammers take advantage of the loneliness the holidays can evoke to trick people out of gifts or worse. As tempting as it is to believe in love stories at Christmas, keep your feet on the ground and practice safe Internet dating. A good rule of thumb: If you’re single at Halloween, stay that way until after New Year’s. If it’s cold and miserable where you are, it’s always tempting to go someplace tropical for a few weeks. If you’re thinking about getting away, be careful of unrealistic prices or “too-good-to-be-true” travel offers. Scammers have been setting up phony travel sites to harvest personal information. Only book through reputable websites. If you’re facing a 5-hour flight and a 3-hour layover, it’s fantastic to have a distracting mobile game to pass the time. Be careful, however, not to download the wrong one. Mobile games can harvest data from your phone or steal password information. Always do a quick search to check the validity of the app you’re downloading and read the permissions carefully. A fun game should never ask for permission to send texts or send information to third parties. Be careful with unsolicited gifts of “free” USB thumb drives. Security firm McAfee warns that many of these devices come pre-loaded with malware. Such scams often target company computers, so ensure you only use approved hardware on your work network. USB storage is cheap enough that you can pass on the freebies.